You can enhance multiple areas of your business, including planning, employee retention, and team collaboration, with video collaboration platforms. Here's how. Modern businesses must move fast and be ready to pivot at the drop of a hat. In a globalized competitive global landscape, video collaboration stands head and shoulders above the rest as an essential business tool. Lack of communication is a significant barrier to business activities. A misinterpreted email or inability to reach a manager can result in costly delays and mistakes. Depending on the industry, communication problems could even result in physical injury—or worse. Small and large organizations that embrace video collaboration receive a multitude of benefits that trickle down through every department and into the customer experience. Adopting video collaboration tools can reduce costs across the board. For remote workers, the technology eliminates the need to come into the office for meetings or team brainstorming sessions. Recruiting teams today also frequently use the technology to improve the talent search. They can easily interview candidates from all over the world. When companies don’t have to pay to support in-office employees or frequent travel, the entire company benefits from the resultant savings. Employees with access to collaboration tools typically also enjoy more freedom during the work day. They can work outside the office, at home, or on the go. Flexibility in the workplace can improve productivity while also adding to employee satisfaction and engagement. Workplace flexibility empowers employees and can enhance retention rates. Some collaboration tools also reduce the need for email or other forms of communication. Employees who aren’t spending time answering non-productive emails or headed out to a meeting every five minutes can better prioritize their days and complete their to-do lists. Companies such as Betts Recruiting use video email tools to reach out to prospects instead of an easily ignored email or a phone call. B2C and B2B consumers often appreciate a unique approach to sales and willingly accept a chat, video email, or other video collaboration invitation. Short video calls that focus on educating a prospect offers a level of personalization that other forms of remote communication can’t. 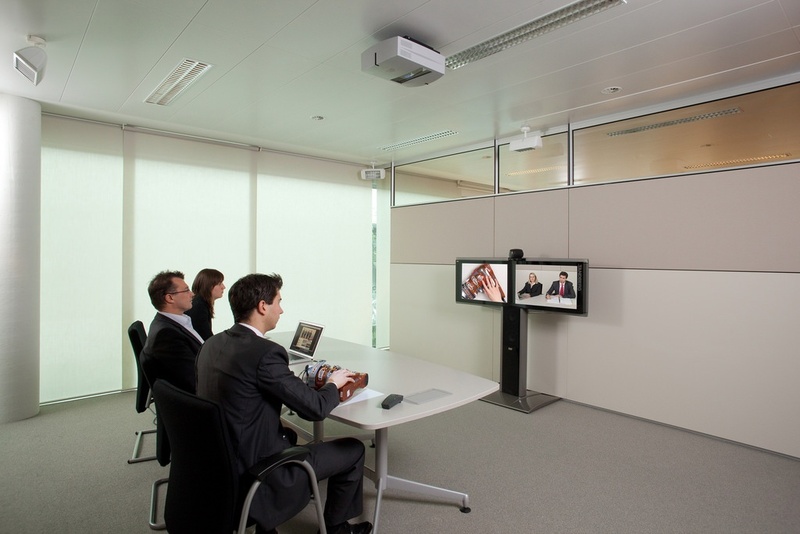 Video collaboration tools also improve the way employees interact with customers after a sale. Customer support representatives can more easily reassure customers and gauge their reactions when interacting in a face-to-face environment. Many companies – including Target and American Express – offer video chat in addition to regular chat or phone support services. Skype offers a translator product that translates communications in real time. The program supports seven different languages, and the application’s understanding improves overtime as people use it. This added functionality in video communications may eliminate the need for organizations to hire translators or to avoid doing business with people who do not speak English. In addition to improving internal communications, breaking down language barriers has far-reaching implications for sales and customer service support. For many years, departments worked in isolated, silo'ed environments. They completed their part of the business but didn’t often work with other departments to achieve strategic goals. Video collaboration tools give employees a greater opportunity to contribute to the discussion, receive workflow documents, and pursue innovative ideas. Video collaboration tools range from app-based solutions to enterprise-grade, security-focused conferencing suites. Take another look at where you see your business heading over the next five years or so, and envision how video collaboration technology can help you achieve those goals.